We worked with Jay a two-year-old German Shepherd to help him learn how to relax and stop his people reactivity in an Omaha dog training session. After I arrived I sat down with Jay’s guardian to discuss his main dog behavior concerns. I learned that Jay had been starting to be reactive to people over the past couple of months. Often times when a dog is reactive they are mistaken for being “aggressive,” however Jay seemed to be more timid and shy than aggressive. When dogs are timid and shy they can either hide from people or try to intimidate them to get the people to leave, which is what Jay was learning to do. To help Jay learn how to relax around people I showed his guardian Behavior Adjustment Training or BAT, which you can watch below. At the core of Jay’s issue was anxiety. Anxiety can make a dog fearful over time, so another way to help Jay become more confident and comfortable around people was to reduce his anxiety. I talked to Jay’s guardian about not petting Jay when he was acting anxious because that rewarded his anxious behavior. Instead, ignore his anxiety and reward him when he is being calm and good. By the end of the session Jay was learning how to relax and look to his guardian for direction. 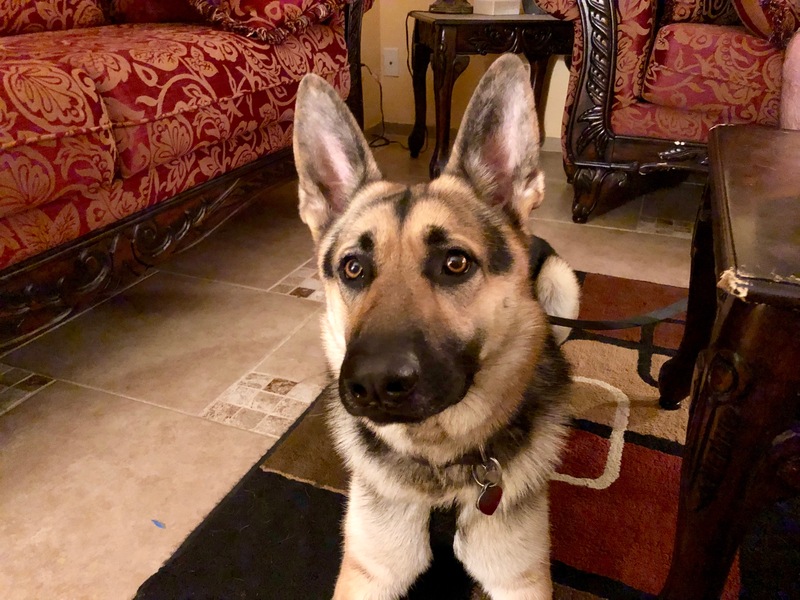 As a German Shepherd trainer, to keep up with this good behavior Jay’s guardian will want to keep using our Petting with a Purpose philosophy. We wrapped up this dog behavior session with Jay’s Roadmap to Success video, which you can watch below.